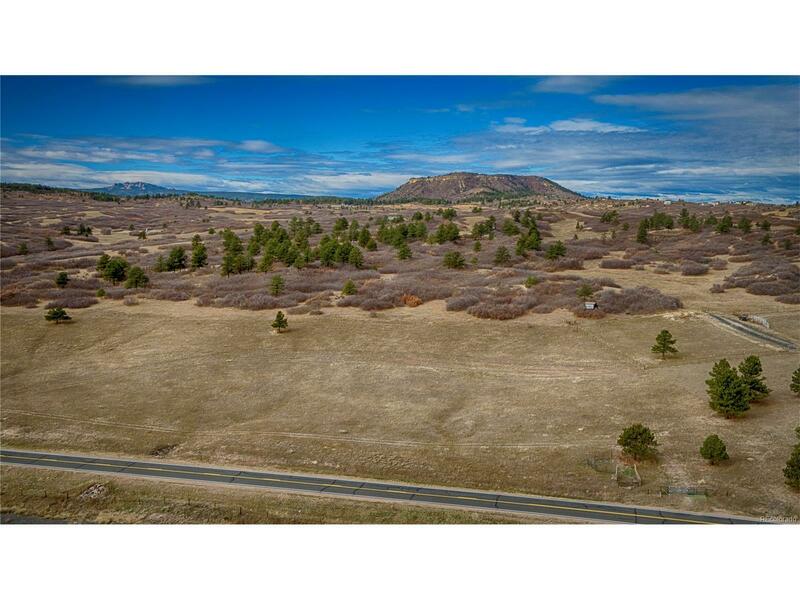 Beautiful 32 Acre Site w Stunning Views of Pikes Peak & the Palmer Divide*This Lot has all the terrain you could ask for! Towering Pines, Majestic Oak Trees, Meadow & Pond. Wildlife abounds & consists of Elk, Deer, Turkeys & More. Fully Fenced, The neighbor's buffalo graze right next door to the west & the south of this lot. Easy access off of Bear Dance Road. No HOA to contend with. Easy access to all utilities. Several nice build sites exist up on the hill on the west side of the property. Set backs are 50 feet from the front and 25 from the sides and rear. Douglas County is the jurisdiction for building permit &zoning. Water would be provided through a well permit from the state of Colo Sewer would be septic & leach field. Typically this lot would be Priced $1,000s higher but has been discounted to the fact there is I-25 Road Noise & the train passes through often. This lot is priced accordingly due to this fact. Please call to schedule your showing of this unique property.